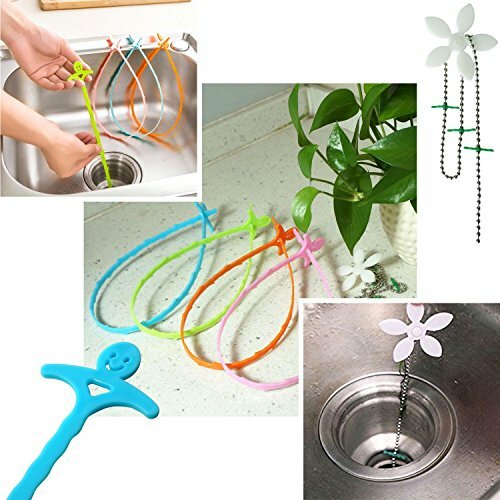 Size: Drain Snake Clog Remover Length: 20"
The Chain Length: Approx. 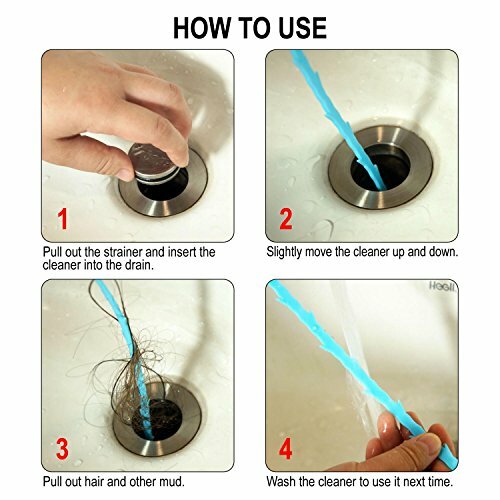 17.3"
1)Please clean the drain at first with the drain snake clog remover, then putting the hair catcher in to prevent hair from plugging the drain. 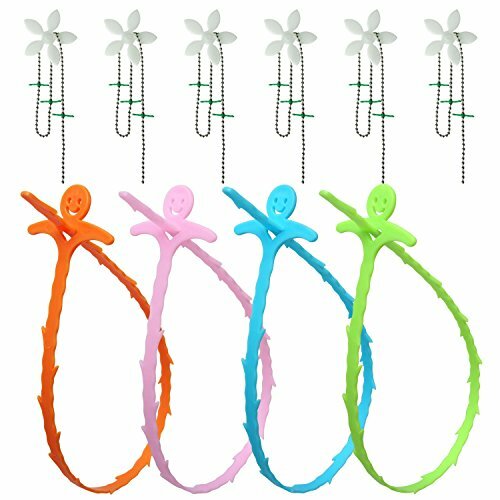 2)Please replace the hair catcher in every 2-4 months, It also can be reused. 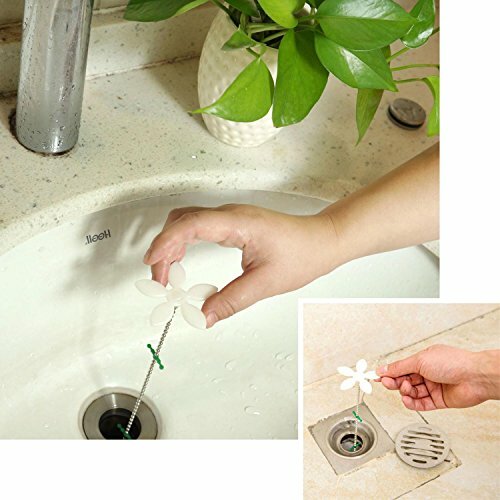 EASY TO USE: Shower Drain Hair Catcher can prevent hair from plugging the drain and Drain Snake Clog Hair Remover hook the hair and debris. ONE SIZE FITS ALL : Soft enough to bend in kinds of strainers and pipes. 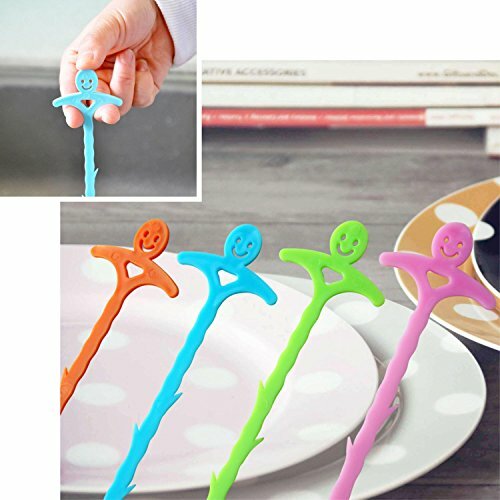 Ideal for most kitchen, bathroom, toilet, shower hair cleaning. MONEY-SAVING : Easy to operate yourself instead of hire a expensive Pipe Cleaning Worker. 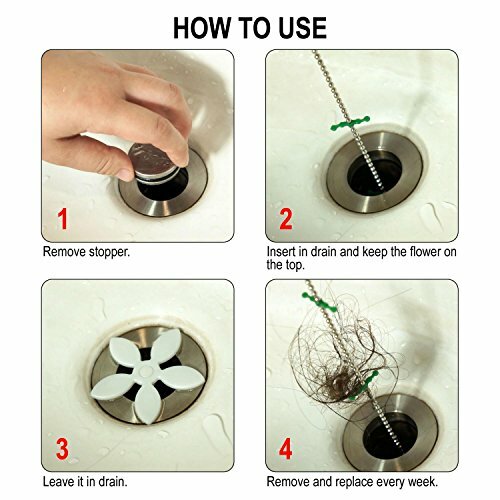 BEST HAIR REMOVER TOOL : Simply insert drain clog remover thru most drain and strainers as it grabs obstructions at P-trap or strainers and pipes, were most clogs occur or hook the hair. ECO-FRIENDLY MATERIALS : 6 Pack Stainless steel + PP. 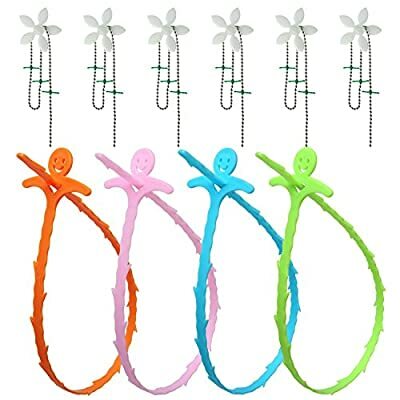 Size: diameter 2.4", length 17.3" Hair Catcher and 4 Pcs PP. Size: length 20" Drain Snake Clog Remover.